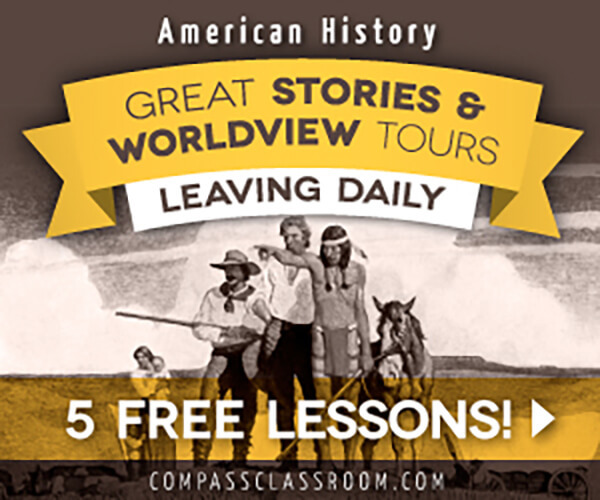 If you're looking for a resource to help you teach American history from a biblical worldview, we highly recommend Dave Raymond’s American History Curriculum. You can access free lessons using our referral link here. We especially appreciate the evidence-based view it provides of historical characters. It neither romanticizes nor vilifies, but, rather, presents a view that accounts for the complexity of human nature and the problem of sin. In my opinion, this course offers an excellent balance of interesting DVD lectures, serious reading, and challenging writing coupled with worthwhile portfolio and project work, all presented from within a Christian worldview. We're still working through the lessons, but so far so good. It looks like a resource we can recommend!